Well, it's Friday so maybe you're planning to do a little shopping tonight. 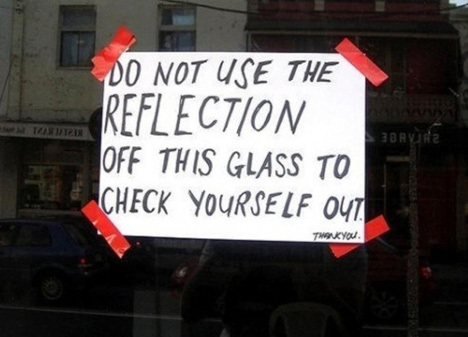 Watch carefully, and you might find some entertaining retail signage such as these. 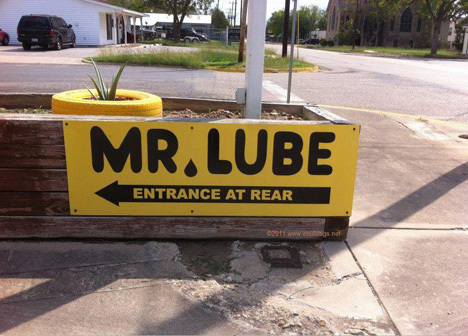 Here's a collection of funny retail signs from around the globe, mostly from the good old USA. If you're planning to stay overnight, make sure you have a shilling and a few extra pence if you need to stable your horse. 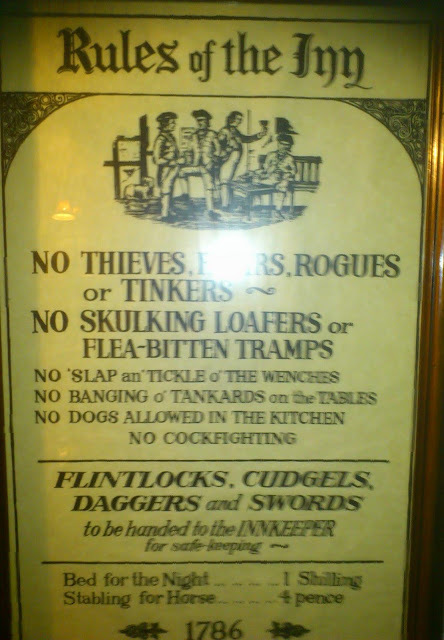 Here are the Rules of Inn. 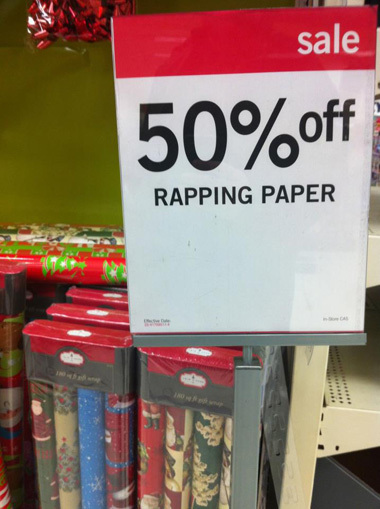 After Christmas wrapping paper goes on sale, and so does Rapping paper, apparently. 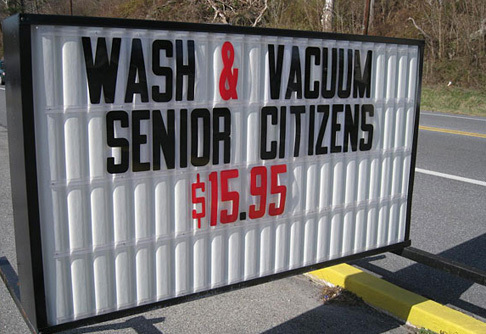 Special offers are everywhere! 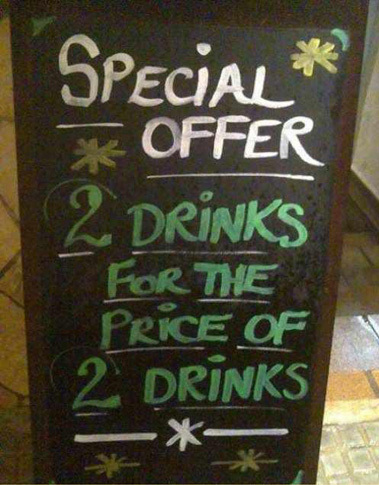 You can get two drinks for the price of two! Don't worry, after four you won't notice how much you're spending anyhow. Sometimes no caption is necessary. But I'm so hot. I'm sure everyone inside doesn't mind looking at me. I didn't even bother going inside. 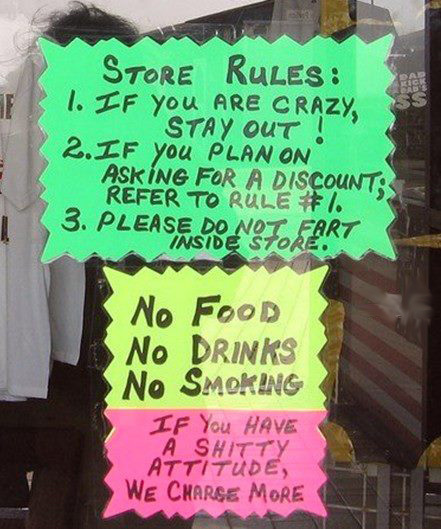 Clearly I would violate several of these store rules. 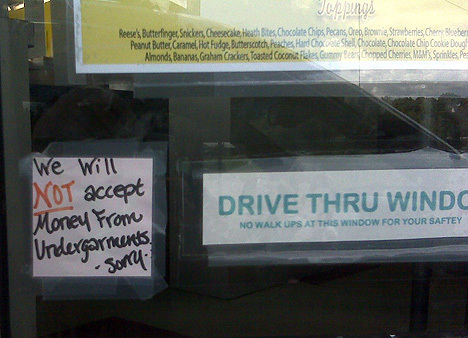 This was seen on a Dairy Queen drive through. I always keep my secret ice cream money in my underwear. You should pay attention to obstacles that could potentially block your sign. 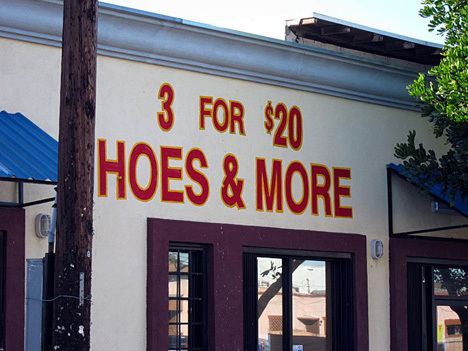 On the other hand, 3 hoes for $20 is a fantastic deal. Normally they are closer to $40. 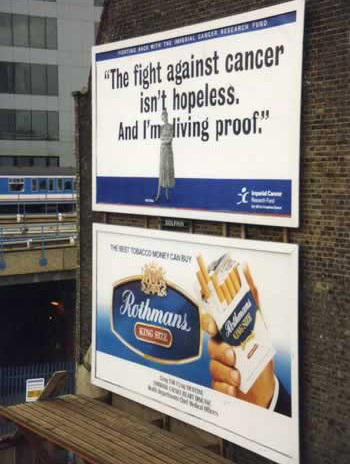 I wonder what "more" gets you. Do I want to know? 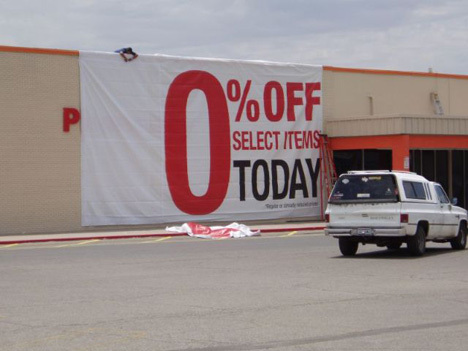 Apparently Wal-Mart is getting ready for their gigantic 0% off sale. The guy who just dropped the first digit on the ground looks rather frustrated. 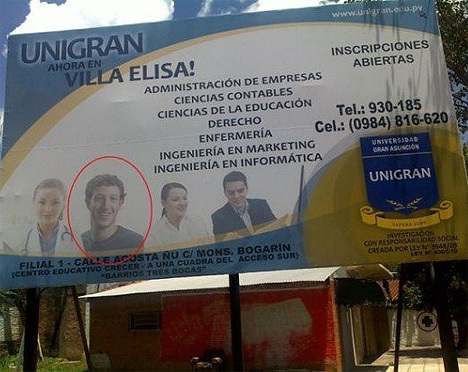 I've heard of foreign companies that use pictures stolen from Facebook in their advertising, but don't you think somebody would have chosen a profile other than Mark Zuckerberg? 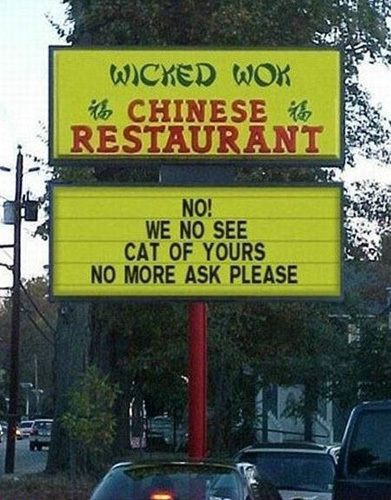 This is so wong. It's just not wight to make fun of Chinese people and the way they twalk in ingwish. Damn it. 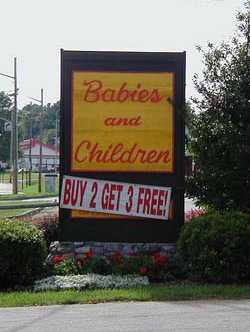 I wish they were having this sale when I got my twins. I could have had quints! 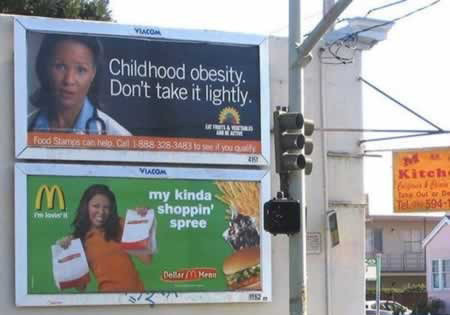 Some times it's not the advertisement, it's just the unfortunate placement. 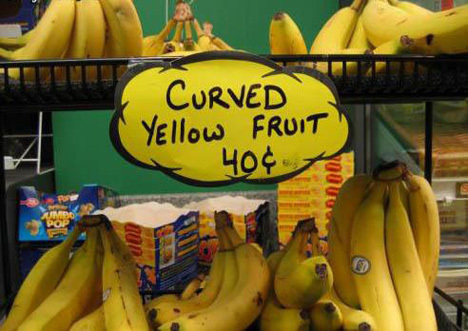 I hate when I can't come up with the proper name for an exotic fruit! Damn it. I just got grandma a bath yesterday and it was more than $25! After shopping all day, I only had $3.95 left. 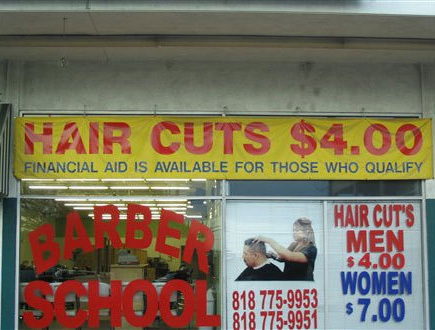 Thank God I qualified for financial aid. 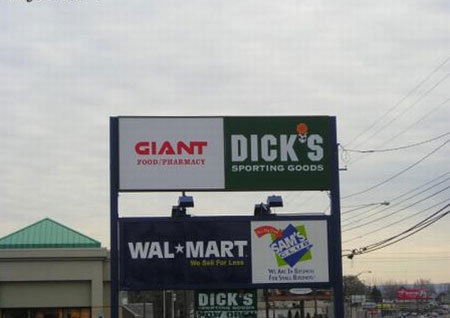 Happy Friday, and enjoy spending your gift cards at these fine establishments.